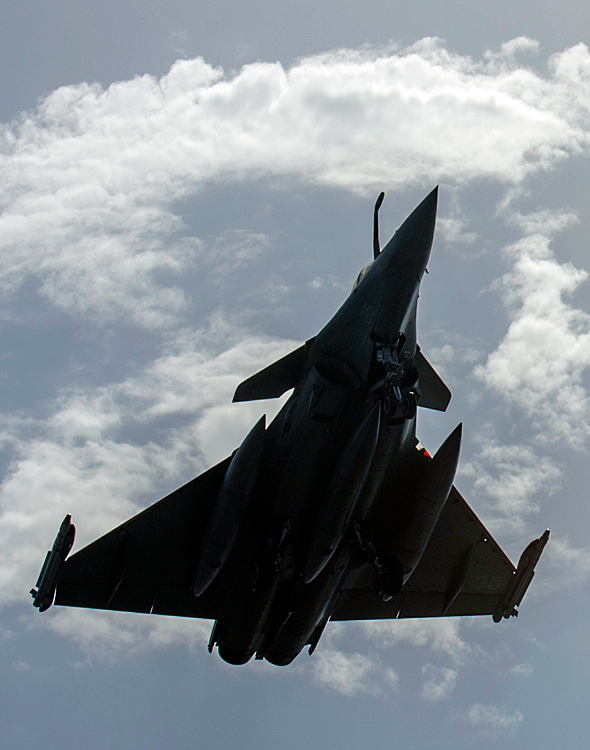 As the M-MRCA negotiations near finality, the French government has one final chance to show off the Rafale's operational capabilities. 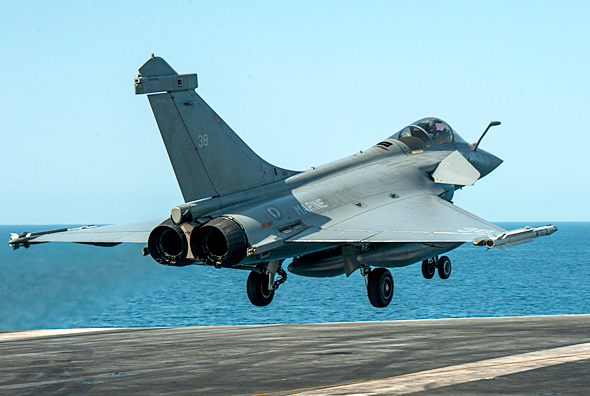 French Navy Rafale fighters from Squadron 11F of the Marine Nationale have been deployed aboard US Navy super-carrier USS Carl Vinson in the Persian Gulf this month to carry out carrier qualifications. 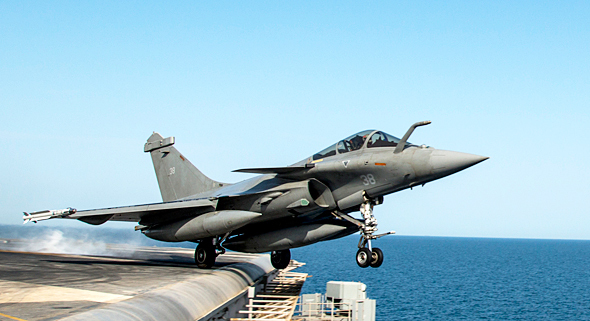 These exclusive US Navy photographs show the Rafale launching and trapping on the nuclear-powered aircraft carrier's flight deck. 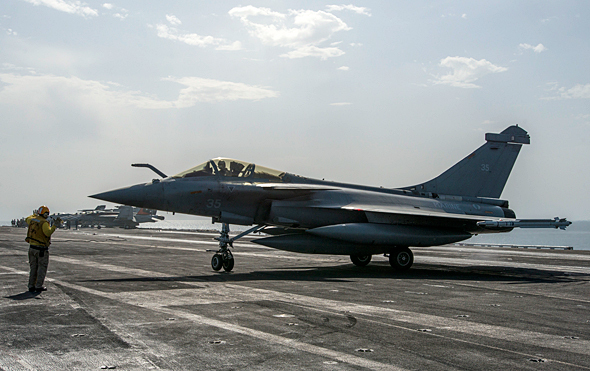 The USS Carl Vinson is deployed as part of the Carl Vinson Strike Group supporting maritime security operations, strike operations in Iraq and Syria as directed, and theater security cooperation efforts in the U.S. 5th Fleet area of responsibility. 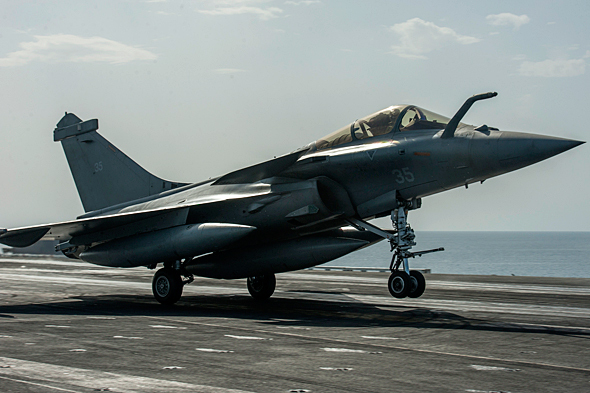 F/A-18 Super Hornets from the aircraft carrier have been carrying out precision strikes on ISIS targets in Iraq for the last few months. 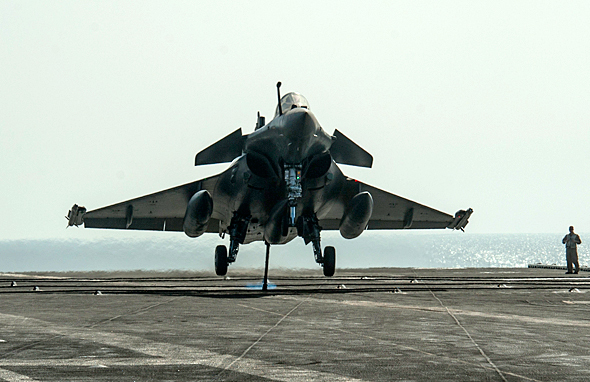 The Charles de Gaulle aircraft carrier is now supporting active anti-ISIS operations in Iraq and Syria with 12 Rafales and 9 Super Etendard tactical strike jets. 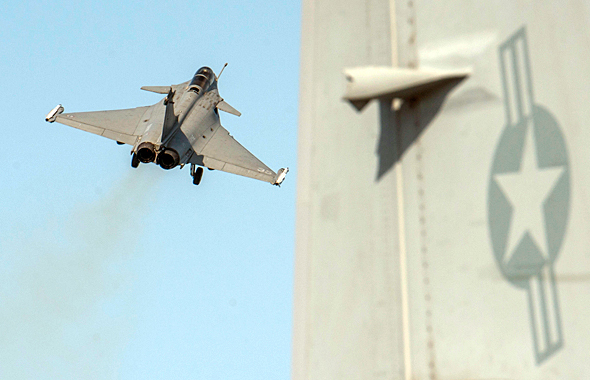 The carrier is scheduled to spend the next two months in the Persian Gulf along with the USS Carl Vinson.